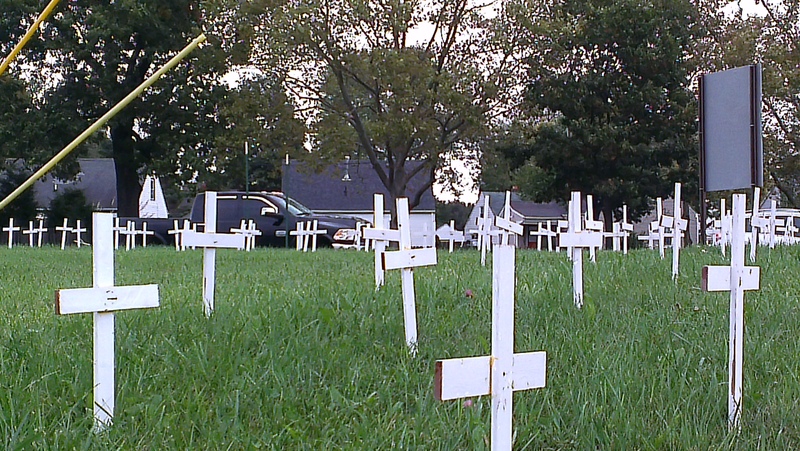 DEATH IS SOLD HERE: My Abortionist Died. Michael Freiman died this past month. He was an abortionist, a murderer. He had children and grandchildren; he upheld quite a nice long life which NONE of the children he aborted enjoyed, nor most of the women he violated. Dr. Michael Freiman failed women. He sold abortion and laughed in luxury with his wanted family. He lived 85 years and died of lung cancer on July 17. And he killed my unborn baby in 1978. “On a balmy day that May, Dr. Freiman performed the first legal abortion in the state in 139 years….He performed six more that day.” Read the rest here. “His patients adored him. Years after he retired, they would still call him, just to have the chance to talk to him.” I wish I could hear the conversations that started with YOU LIED, IT WAS A BABY. Ironically, he wants his memorial contributions paid to the St. Louis Holocaust Museum. THE HOLOCAUST MUSEUM. Read the rest here. Missouri’s then Attorney General John C. Danforth did his absolute best to stop this monster from killing. However, even bad abortionists have great lawyers protecting their killing business. My abortionist died. I certainly hope he’s enjoying his eternal home. He deserved it. How is a woman supposed to feel when her abortionist dies? You tell me…because a doctor supports LIFE, not takes it. Abortionists are not doctors – they are well paid assassins. Previous postDAYTON MAYOR WANTS ‘REFUGEE’ CHILDREN, SUPPORTS PLANNED PARENTHOOD? My sympathies that you have to relive the pain that this assassin brought into your life. Hopefully he had a chance to repent before he died. If not then we know where his eternal address is. Take care. Praying for you and yours and your ministry, saving lives.